Checking Out Kraken Axes | Park View, D.C.
Over the weekend I had an opportunity to visit Kraken Axes, one of Park View’s newest business. 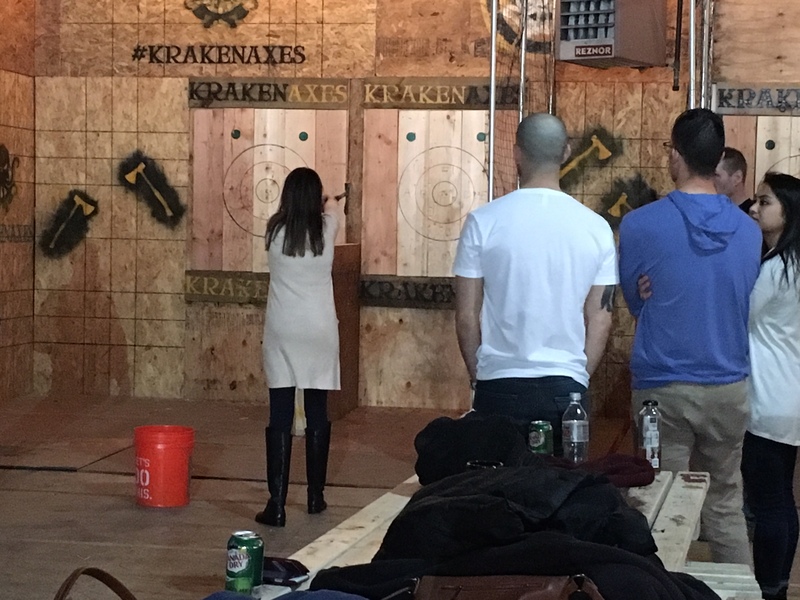 Kraken Axes opened in mid-December 2017 and is centered on the the sport of axe throwing in which the competitor throws an axe at a target, attempting to hit the bulls eye as near as possible. Its kind of like darts, but with axes. In stopping by, I was able to Kraken Axes’ Anna Valero, who gave me a great welcome and overview. 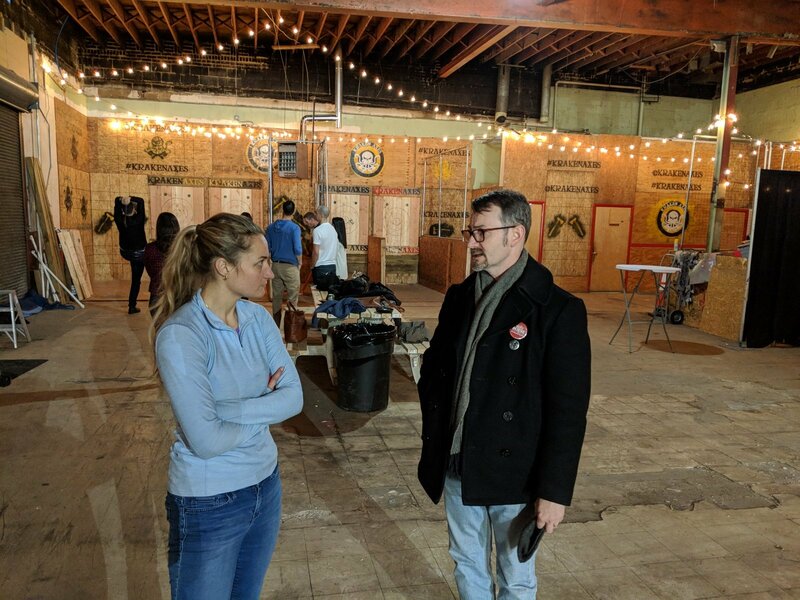 Valero informed me that the sport of axe throwing comes from Canada, and they hope to be in the neighborhood for years to come. The short video sums it up nicely. This entry was posted on January 16, 2018 at 7:01 am and is filed under Development, Small Businesses. You can subscribe via RSS 2.0 feed to this post's comments. 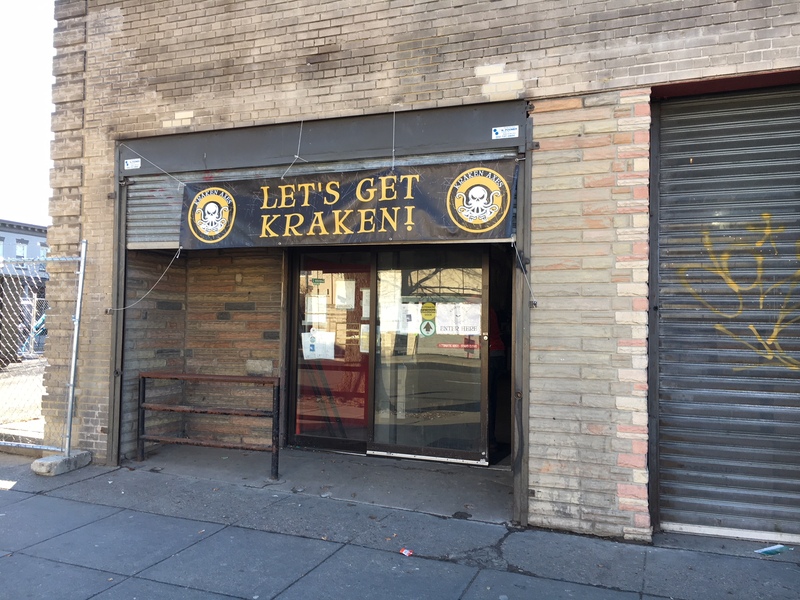 I feel a mix of this and brewpub might be a blast though some insurance carriers might have questions. I guess this confirms the all but known fact that Zuckerman will not be developing this property despite years of promises?